One of the most innovative names in sublimation equipment, Practix offers the unmatched OK-405RTR that was specifically designed to print narrow web fabrics and plastics from a roll. This machine provides steel encased, oil filled heated drum, producing constant and even color transfer for high-speed, continuous fabric sublimation. 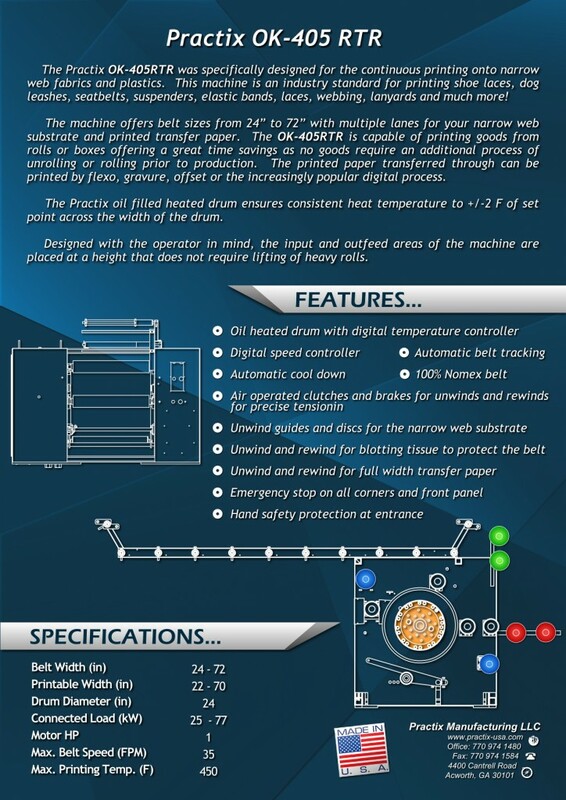 Includes belt sizes from 24” to 72” and multiple lanes for your narrow web substrate and printed transfer paper hot off the flexo, gravure, offset or the increasingly popular digital press. 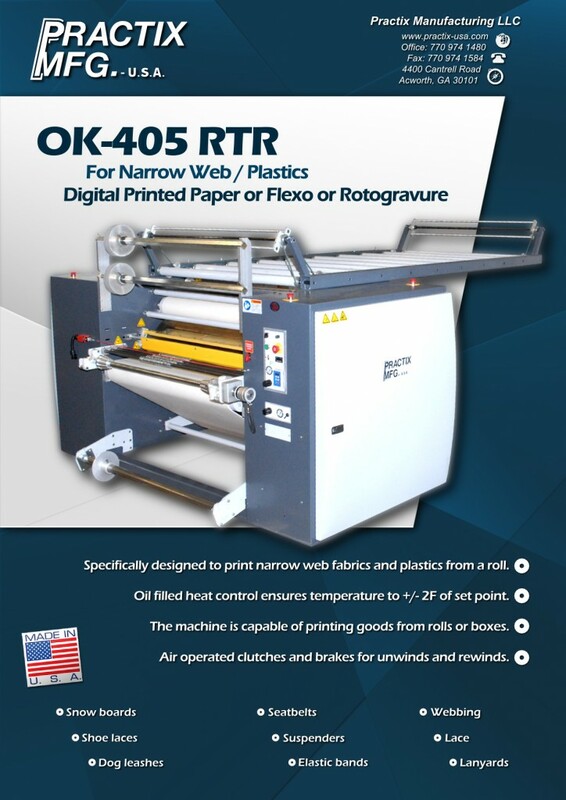 The OK-405RTR puts together decades of engineering and design expertise for the most efficient continuous belt sublimation machinery on the market. The unique Practix channel tracking technology keeps the belt centered on the large 24” diameter drum, avoiding costly delays. Furthermore, the dual unwind system allows the loading of more paper without stopping. This keeps the job rolling as long as you need and saves you valuable time and money. The performance of the OK-405RTR is a technological marvel, but the real ingenuity of this sublimation equipment is in its convenient design. It’s unitized, making it portable, compact, and durable without separate pieces, which can loosen or break over time. The cantilevered design also allows the operator easy access to the rolls.